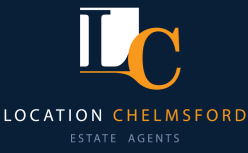 Location Chelmsford is an Independent Estate Agent selling quality properties in Chelmsford and surrounding areas. Our Directors and staff live locally in Chelmsford and have a professional and friendly approach to selling your property. As a company we are prized by our customers in having impeccable communication skills, a vital part of selling any property in Chelmsford. We will make sure that our team deals with all of your property needs with a high level of expertise and professionalism. Our modern property marketing techniques with extensive internet marketing, professional photography, floorplans, videos, accompanied viewings along with social media marketing will maximise the exposure of your property to help secure that all important buyer.